Enjoy the benefits of boxing without the risk of fighting or sparring. Main focus of this class is to learn new techniques and to perfect your current skills using the pads, bags and show boxing. There is also a fitness aspect to class so there will be a bit of conditioning work on the bags, pads and rope. 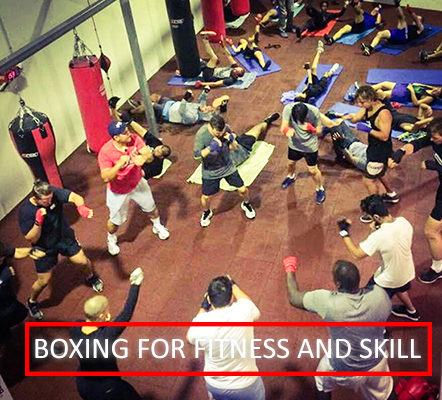 Boxing for fitness is a full body workout and improves your cardiovascular fitness immensely. Improves other skills such as balance, coordination and agility. Boxing is fun because there is always something new to learn thus improving and making your fitness routine more enjoyable.